Bill Benjamin has worked with LeDuc & Dexter for close to 20 years. Now, with partners Terri Benjamin, Chris and Christine Peterson at Rivendale Homes, he continues to enjoy a productive relationship with LeDuc & Dexter in a variety of residential projects that are as diverse as the people that live in them. Rivendale Homes has built over 60 luxury and executive homes in Fountain Grove, Santa Rosa’s most exclusive real estate address, with LeDuc & Dexter as their plumbing contractor. Fox Ridge is a community with a varied price range that is in phase 5 with 60 of the 72 homes built and sold. Bill Benjamin says, “The market is strong with sales ahead of construction.” Bella Vista, with 12 executive homes in the $1 million price range is located off Parker Hill Road. There are also 9 rental duplex units in Meadow Wood in response to the city of Santa Rosa’s desire for affordable housing. The city is asking developers to mix in rental units, such as the duplexes built in Meadow Wood, as well as second units or attached “granny units” to accommodate the housing needs of the community. Rivendale has three other single-family home infill projects under way in Santa Rosa. 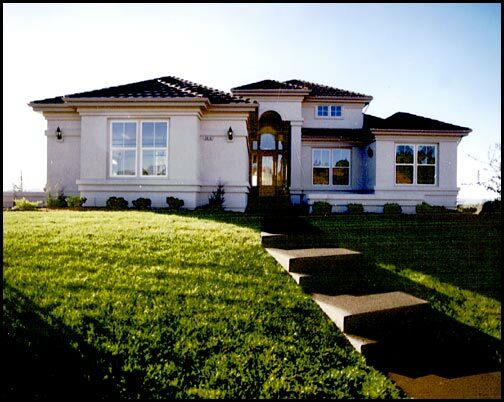 Westbrook is comprised of 15 homes in Southwest Santa Rosa. Edgewood is a 13 home project off Peterson Lane. Arbor Lane is made up of 22 homes with some attached granny units off Hwy. 12 and South Boas Drive. Rivendale Homes also has an apartment building under construction. “This is our first venture into apartments. It’s a small 13-unit apartment, which makes it more manageable.” explains Benjamin. Jennings Avenue apartments are located near Coddingtown Center.